Team Strategies and Tools to Enhance Performance and Patient Safety (or, TeamSTEPPS®) is an evidence-based, team-centric approach to patient care that is widely used to benefit teams in healthcare and simulation training. The quest to improve performance, knowledge, and efficiency in rapid response and emergency healthcare teams for the sake of enhancing patient safety is a never-ending journey with a long history. In 2005, the Agency for Healthcare Research and Quality collaborated with the U.S. Department of Defense to develop TeamSTEPPS as a constructive means to address the major causes behind medical-related errors, and to assist healthcare organizations in working to improve overall quality, efficiency and safety of healthcare deliverance. In this post, focusing on proven methodologies for improving patient safety, CAE Healthcare would like to offer a brief overview of a few key concepts from TeamSTEPPS that enable teams to perform better, maximize information and streamline communications for optimal outcomes and results. Basic principles of a TeamSTEPPS approach to learning include augmentation of communication skills, leadership development, situational and environmental awareness, and mutual support. Debrief – An "after action" debriefing, review, and/or information sharing session that is intended to improve team performance and effectiveness. Handoff – The transfer of information and/or knowledge, along with authority and responsibility, among care providers at all levels and across the continuum of care. Huddle – An ad hoc meeting/planning session designed to reinforce plans that are already in place. This allows for on-the-spot assessment, reassessment, and consideration of whether there is a need to adjust plans (and how to make those changes). Huddles benefit team-based learning environments by helping groups to speed up their work while improving team effectiveness. Quick huddles (frequent, brief meetings) are ideal for achieving this goal. In quick huddles, teams come together and efficiently share vital information and communicate their viewpoints in a non-judgemental setting. In such a setting, medical teams have the opportunity to engage, review and plan without a disruption in patient care momentum. Sim huddles meld TeamSTEPPS concepts with simulation-based healthcare training. 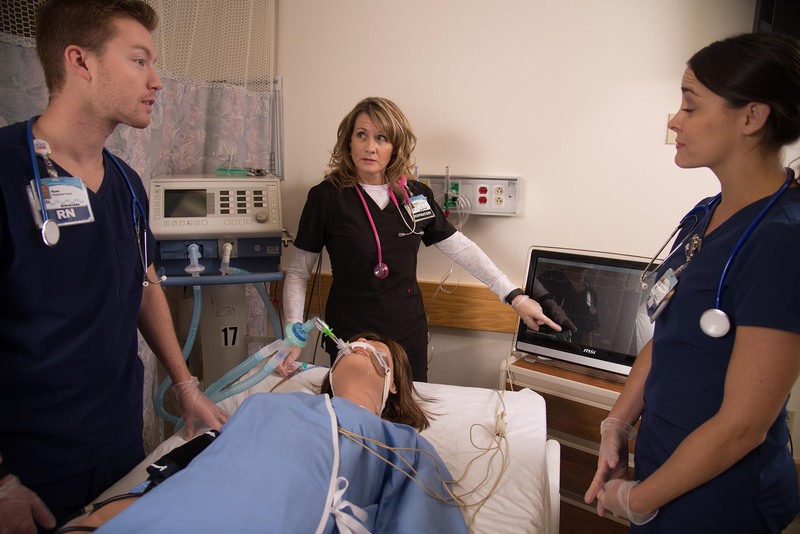 The casual nature of the Sim huddle supports a more cooperative atmosphere, thereby encouraging the kind of communication that reinforces learner confidence. Sim huddles improve patient safety by strengthening the positive effects of well-honed teamwork skills. Contact CAE Healthcare today to see how you can advance a culture of patient safety through healthcare simulation.